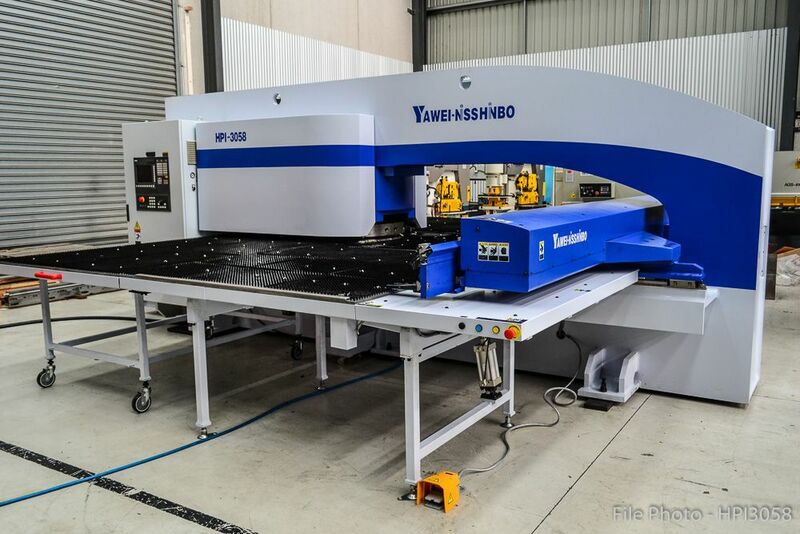 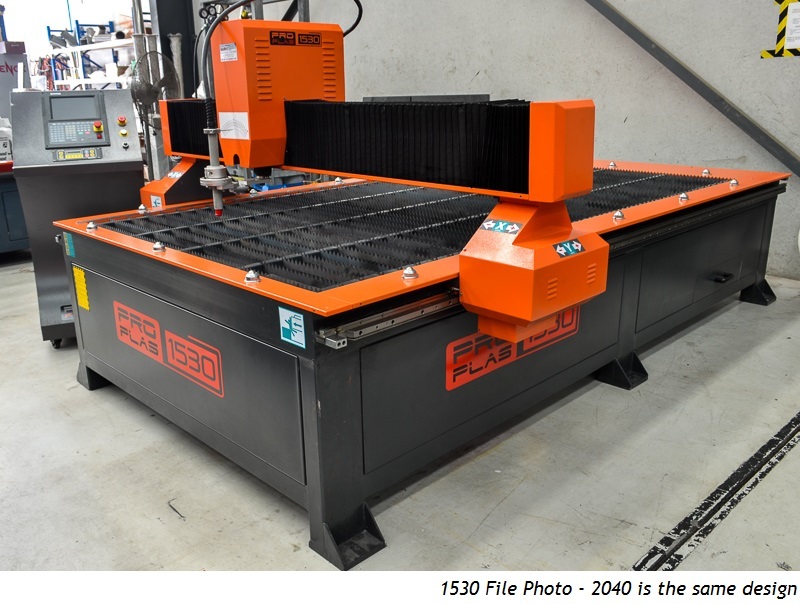 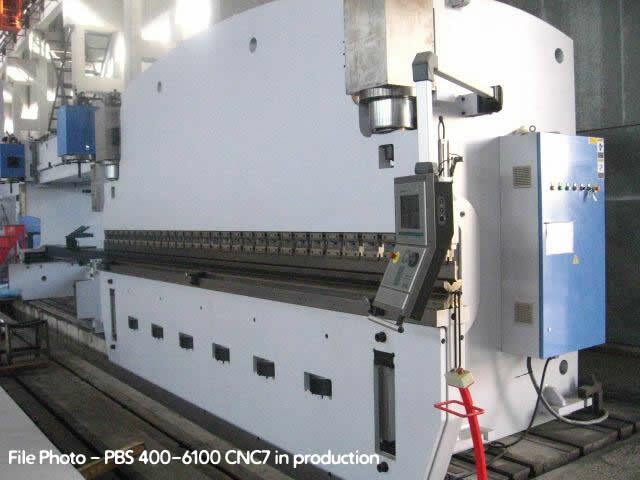 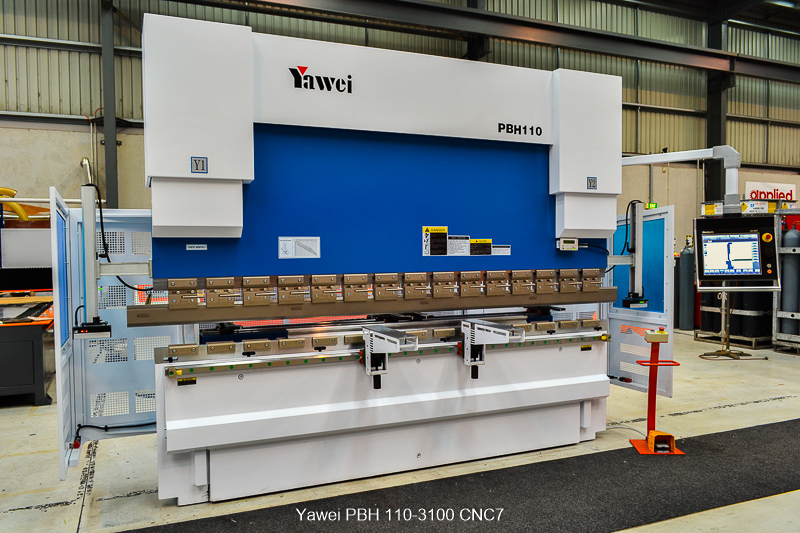 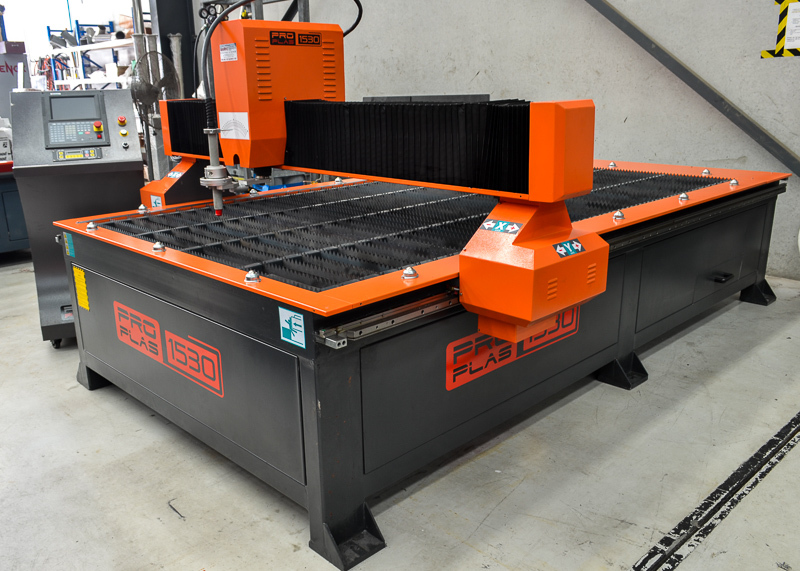 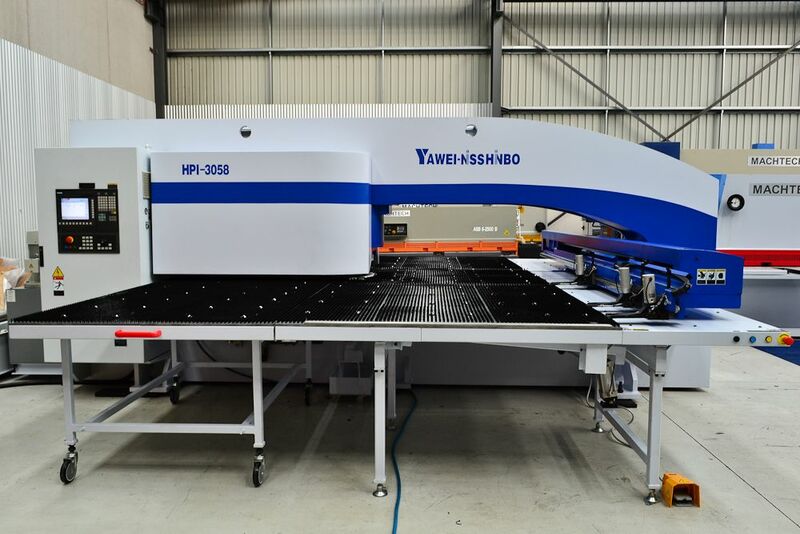 New Yawei Synchro Pressbrake model PBH 160-4100 CNC5. 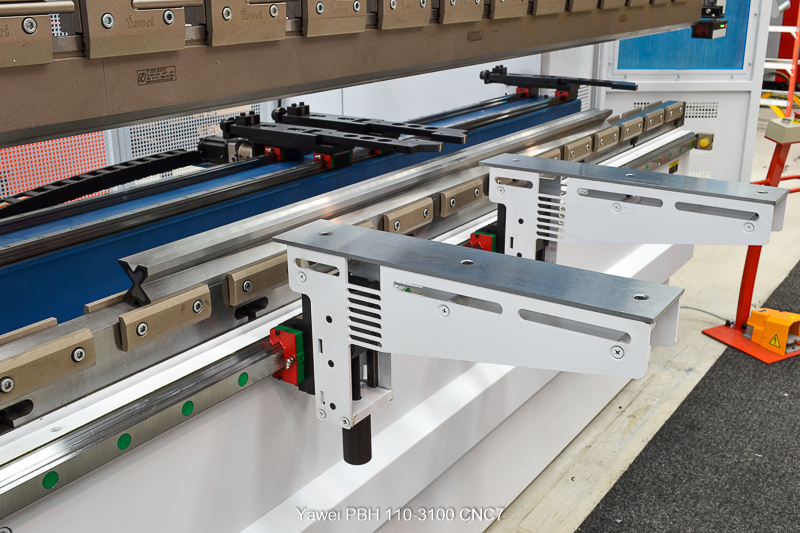 - precision ballscrew backgauge, AC servo motor driven and running on a linear guide. 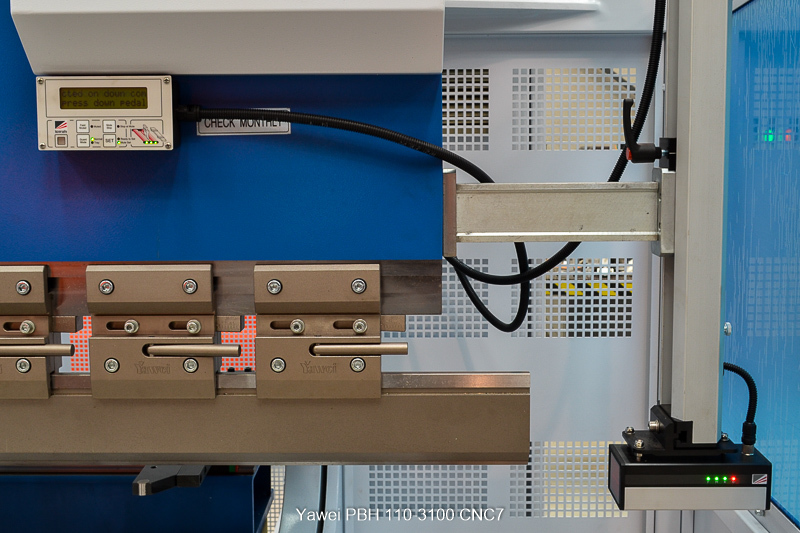 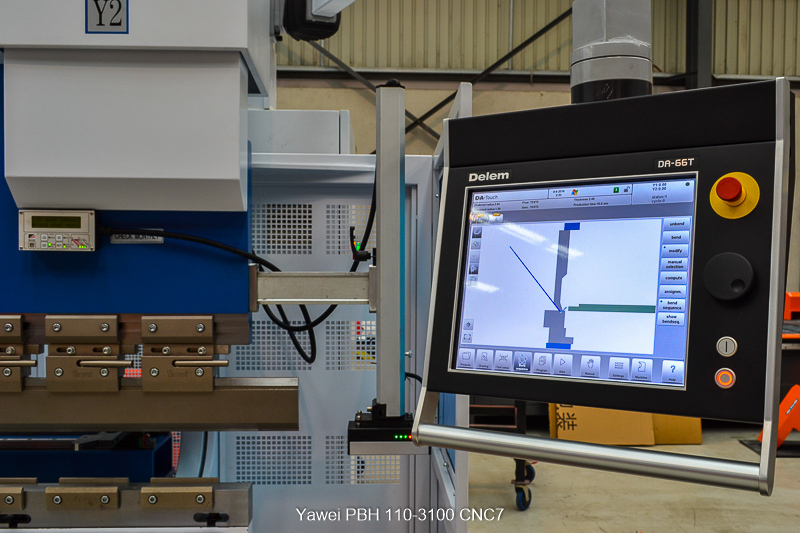 All Yawei Synchro PBH series pressbrakes maintain perfect control of the beam positioning at all times. 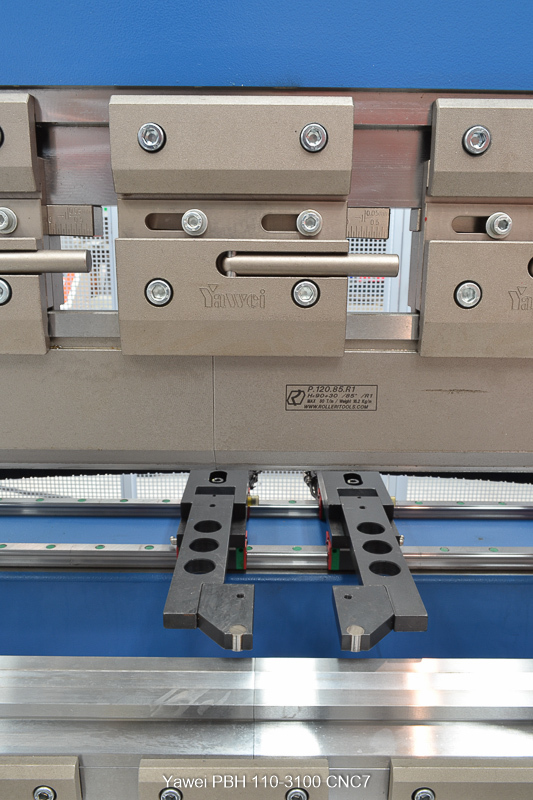 This is achieved by fully closed loop electro-hydraulic servo control of Y1 & Y2. 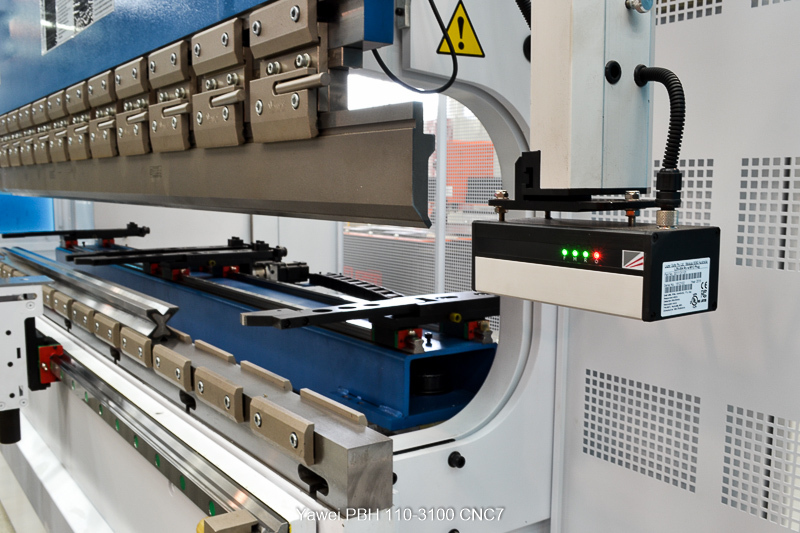 The beam position is measured by independent linear scales, attached to decoupled measuring frames.